Five people will appear before court today, after being charged with offences relating to price fixing cartel conduct. This follows a joint investigation into alleged price fixing of the Australian Dollar/Vietnamese Dong exchange rate and transaction fees by a number of money transfer remitters in Sydney and Melbourne. The Australian Federal Police (AFP) and the Australian Competition and Consumer Commission (ACCC) commenced Operation EUPORIE in 2014, to investigate allegations of cartel conduct by money remittance companies including Vina Money Transfer Pty Ltd, trading as ‘Vina Money Transfer’. It is alleged this company, which runs branches in New South Wales and Victoria, fixed the Australian Dollar/Vietnamese Dong exchange rate and the transaction fees that it charged customers, in contravention of the Competition and Consumer Act 2010 (Cth). Five people associated with the cartel conduct today will face charges under the criminal cartel provisions of the Competition and Consumer Act 2010 (Cth). Three men from Cabarita, Sydney – aged 30, 32 and 58 – are due to appear before Melbourne Magistrates’ Court today; while two Melbourne residents, a 58-year-old Springvale woman and a 63-year-old Mitcham man, are also due to appear before the Melbourne Magistrates’ Court. Australian Federal Police Detective Sergeant Jarrod Ragg said this is a significant joint investigation for the AFP and ACCC, with the investigation spanning a number of years. “This has been a comprehensive investigation between the AFP and the ACCC, one of the first conducted by our two agencies,” Detective Sergeant Ragg said. Cartel conduct occurs when businesses make contracts or arrangements or arrive at understandings with their competitors to fix prices, rig bids, share markets or restrict outputs. Price fixing occurs when competitors agree on a pricing structure rather than competing against each other, to the detriment of consumers and other businesses. Further information of the fines and penalties under the Act are available on the ACCC website. Vina Money Transfer Pty Ltd is charged with making contracts, arrangements or understandings (CAU), which to the knowledge of the Corporation, contained cartel provisions, in relation to the fixing of exchange rates and transaction fees. Vina Money Transfer Pty Ltd is also charged with giving effect to these CAUs. 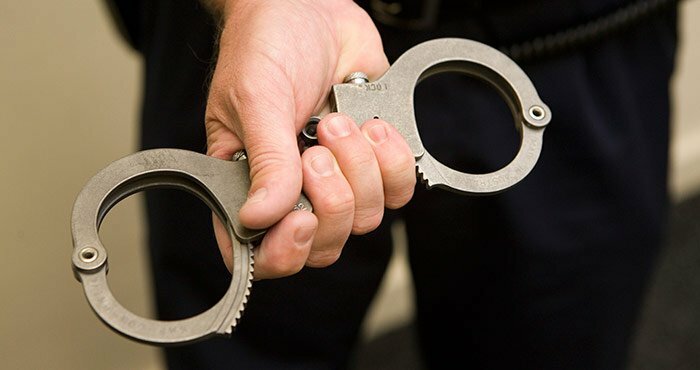 A 58-year-old man from Cabarita, New South Wales is charged with being knowingly concerned in the making of and giving effect to a CAU that contained a cartel provision relating to exchange rates. He is also charged with being knowingly concerned in the making of and giving effect to a CAU that contained a cartel provision relating to transaction fees. A 32-year-old man from Cabarita, New South Wales, is charged with being knowingly concerned in giving effect to a CAU that contained a cartel provision relating to exchange rates. A 30-year-old man from Cabarita, New South Wales is charged with being knowingly concerned in giving effect to a CAU that contained a cartel provision relating to transaction fees. A 58-year-old woman from Springvale, Victoria is charged with being knowingly concerned in the making of and giving effect to a CAU that contained a cartel provision relating to exchange rates. She is also charged with being knowingly concerned in the making of and giving effect to a CAU that contained a cartel provision relating to transaction fees. A 63-year-old man from Mitcham, Victoria is charged with being knowingly concerned in the making of and giving effect to a CAU that contained a cartel provision relating to exchange rates.